The Modern Momma, birth and postpartum services! – Supporting families through one of the most paramount moments of their lives. There is nothing better than seeing amazing people becoming parents and children becoming siblings. 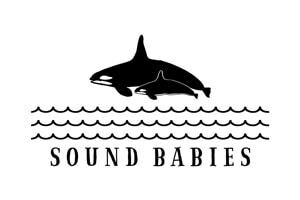 My name is Becky Bard and I am a SBD certified birth doula serving families in Port Orchard, Gig Harbor, Tacoma, Puyallup, Bremerton, Silverdale, the Key Peninsula, nearby military bases and the surrounding Puget Sound areas! All births deserve to be recognized and supported with love! 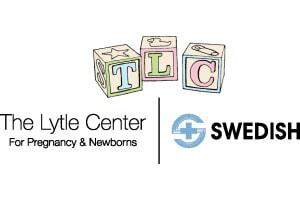 The Lytle Center offers outpatient lactation services with an IBCLC trained consultant. We also provide wellness checks for both mom and baby, weight check, jaundice check as well as frenotomy services with our IBCLC trained family nurse practitioners. We have outpatient talk therapy services with our LICSW providers, along with a beautiful retail store for all of your breastfeeding supplies, bra fitting and great gift ideas. We also rent out hospital grade Madela Breastpumps and baby weight scales. NURSE-FAMILY PARTNERSHIP. Pregnant with your first baby? A lot will change, but you’ve got this! Especially if you have a free personal nurse! What is Nurse-Family Partnership? Nurse-Family Partnership is a free program for women who are pregnant with their first baby. When you enroll you will be connected to a registered nurse who will provide the support, advice, and information you need to have a healthy pregnancy, a healthy baby and be a great mom. Certified postpartum doula working in Seattle city limits and Shoreline to help families in the first few weeks and months after birth. I offer care during the day and have loads of referrals for nighttime support and needs that might arise outside of my scope. I am a birth doula who cares for families in the Tacoma, Seattle and greater surrounding areas. I primarily service Pierce county and occasionally King, Kitsap and Thurston counties. Please take a look around my site – I’m happy to answer any questions you have. My heart is to be an emotional and physical support to the mom and her partner. As a birth doula and teacher, I help mothers have easier and faster labors and births with less anxiety. I help you honor the magical and the messy parts of this big adventure. I offer placenta encapsulation and belly casting serving Kitsap and beyond. I work with women from preconception nutrition/conception prep, to pregnancy as a Doula; Nutritionist or Childbirth Educator. I also work with families during the postpartum transition as a postpartum Doula. I teach group Childbirth Education series along with private classes for whatever your schedule allows for. Overall my goal is to help support women to feel empowered and educated in pregnancy, postpartum and through nutrition/lifestyle choices. “Doula: a trained professional who provides continuous physical, emotional and informational support to a mother before, during and shortly after childbirth to help her achieve the healthiest, most satisfying experience possible.” A woman who serves birthing families. As a doula, I provide continuous emotional and physical support for the birthing person (the client) and their partner. Through prenatal appointments, I provide resources throughout pregnancy and help the client prepare for their upcoming birth. We are Kitsap County’a first and only freestanding birth center. Experience personalized, family centered care in a gorgeous central location. We offer the perfect blend of modern maternity care, luxury surroundings and the gentle art of midwifery. 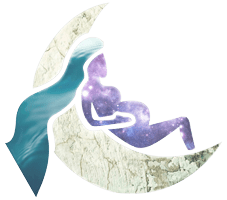 With HypnoBirthing® techniques, birthing parents are better able to appreciate the benefits of calm, gentle birthing, making the experience a joyful one for mother, baby, and birth companion—benefits that can last a life time. HypnoBirthing® is a unique method of relaxed, natural childbirth education enhanced by the techniques of guided imagery and positive affirmations, as well as an understanding of the mind and body connection that allow women to use their natural abilities to bring about safer, easier, and more comfortable birthing. Drugrehab.com is an online information center dedicated to those battling addiction and mental health issues, no matter what the circumstances are. Their goal is to equip families with the necessary tools and resources to guide them on the road to recovery.